The new year is here! That means, for many of us, it's a time to start fresh, set goals, and make improvements in our lives. By far, the most common New Year's resolutions involve health and fitness. Gym memberships increase about 40% during the month of January as well-intentioned people take the first step toward improving their health. Everyone is going to know that I'm new here. If you've ever had these thoughts or feelings, I wrote this post for you. My name is April Seifert. I'm a Social Psychologist, life-experience junkie, and the host of the Women Inspired! podcast. My passion is helping people take intentioned action so they can live their most fulfilling, regret-free lives. Exercise, especially weight-lifting, has been a huge part of my life for a long time. I know firsthand how exercise can positively impact your life. NOTE: I am not a fitness professional. I'm just a woman whose life has been changed and improved because I stepped foot in the gym, and kept going, and I want the same thing for you. So, here is a bit of advice and inspiration from a veteran gym-goer. "People are staring at me." When you walk into a new situation for the first time, it can feel like the entire roomful of people is staring at your every move. I can assure you, they are not. There is a psychological phenomenon called the spotlight effect, which states that, "people overestimate the extent to which their actions and appearance are noted by others." Said another way, it's super duper common for us to think that other people are paying WAY more attention to us and our behaviors than they actually are. William Shakespeare said, "All the world's a stage," implying that all eyes are on us. Well, sorry to break it to you, dude, it's not. Unless you're Beyonce (and if you are, then HI! OH MY GOSH I LOVE YOUR MUSIC, AND I CAN'T BELIEVE YOU'RE READING MY POST!!!!!! ), no one is staring at your every move. They're all inside their own heads just as much as you are. "Everyone will know that I'm new." Let's get real here. Every single person in that gym was new at one point or another. Ok, sure, it's a little cliche to join a gym at the start of the year, but so is joining a gym when you turn 50, or after your partner leaves you, or because you're a stay-at-home mom and you need a break during the day, or for almost every other reason why people join a gym. To be clear, there are a million things that can serve as an initial catalyst for positive change. Ultimately, what initially prompts the change matters so much less than how you follow through with it. The best way I've found to follow through with something new is to get really clear about WHY you want to make the change. Why is the old way of doing things not serving you anymore? Why is it no longer acceptable to stay the way you are? What would it mean to you to make the change? If you stuck with it, how would your feelings / health / life be different in 1 year? When you start to lose motivation....because it happens to all of us, go back to your why. And remember, your goals and motivation are not any less valid than anyone else's, simply because your initial catalyst was different than theirs. Your health is just as valuable. Your goals are just as important. Your journey is just as real. If you stumble a little in the beginning, keep going. If you miss a few days & fall a bit off-track, get back on, and keep going. "I'm not sure where to start." 1 - Ask for help! See those people sitting at the front desk? Ask one of them to give you an orientation to the gym - it's typically part of their job. You paid your membership fee; make the most of it. And, as you're walking around, ask questions & have them show you how different machines work. If you're not sure of how to put a workout together, do a tiny bit of research. There are amazing resources out there to help you put together a basic workout for your first few gym visits. 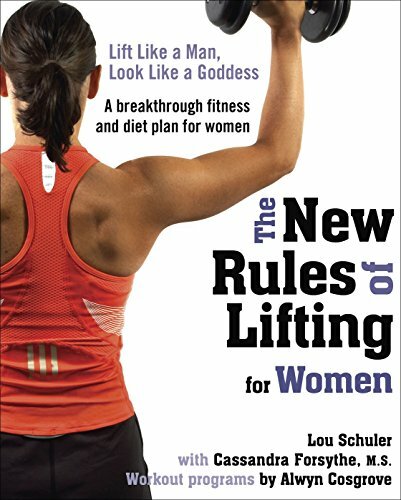 When I first started lifting weights, I used the book The New Rules of Lifting for Women, and I swear by it to this day. 2 - Ease into it. Massive health and fitness changes do not happen in a matter of days! If you kill yourself by working out for 2 hours on your first day, all you're going to do is risk injury, or worse, burn-out. I can't tell you how many times I've seen new gym members put in a week's worth of exercise in their first session. That's exhausting! Instead, set the realistic goal of spending 30-40 minutes working out at the gym. Yup, that's it. Put in your time, do your work, then leave and get back to your life. In short, be kind to yourself. Realize you're stepping out of your comfort zone, and give yourself the BEST possible chance at succeeding by easing into things. Read that sentence 10 times. Let it sink in. Even if you don't yet see yourself as "a fitness person." You belong here. I don't care where you're at on your journey, or how far you have left to go. You belong here. It doesn't matter what situation you're currently in, what you're trying to change, or what got you into this position in the first place. You belong here. You belong here because the gym is a place for self-improvement, and that's something we all need. You belong here because the positive side effects of working out are so much bigger than you might even realize right now. Not only will your health and body change, but exercise has a way of changing your mind and heart. As you start to fall in love with your body because of what it can do, rather than what it looks like, you'll start to see that mindset bleed over into the rest of your life in the BEST ways. Talk about a positive association! Earlier in this post I mentioned that I am extremely passionate about helping people take intentioned action to live their most fulfilling lives. I truly mean that. Please know that I am out here cheering for you to succeed, and if you need a little pep-talk, shoot me a message or subscribe to our community below! I believe in you. I'm betting on you.